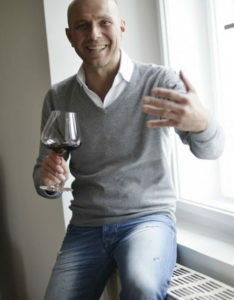 Johannes Gebeshuber crafts his white wines exclusivley from the zierfandler and rotgipfler varietals and his red wines exclusively from the pinot noir und st.laurent varietals. such devotion to a narrow range of grapes is truly unique! the distinctive, unmistakable expression and character of his wines originate in the alluvial terroir dating back millions of years. expert winemaking technique and innovative use of indigenous varietals result in wines unlike any other. equally important is the dedication to production techniques in harmoniy with mother nature – in fact, all grapes are organic and sustainably grown and harvested. klassik, reserve und große reserve. wines from hand-picked hand-sorted grapes, complex, polished, elegant. single-varietal grapes from prized vineyards, cultivated using sustainable growing and harvesting techniques: this is the organic line of wines known as gebeshuber: lage. these premium wines are currently avaialble for the white varietals zierfandler and rotgipfler – and soon for the red varietals st.laurent and pinot noir. © 2018 Corkout.at — All rights reserved.